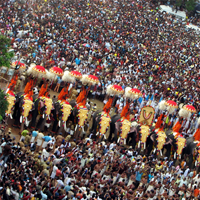 We're Offering Special Discounts for Thrissur pooram Book Today! In the abode of ‘God’s own country’ find our little haven, Ayuryogashram, one of the best ayurvedic treatment centers in Kerala. 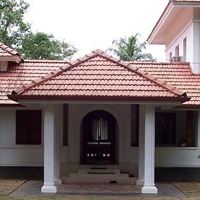 Whatever be your personal requisite, you are seeking ayurvedic rejuvenation in Kerala, complete with good sessions of Kerala massage, Kerala ayurvedic treatment in tranquil settings, then this ayurvedic retreat in Kerala, Ayuryogashram is the chosen one. Yes. 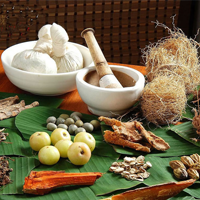 There could be many places, resorts and ayurvedic centers in Kerala offering ayurveda therapies, treatments that include customized treatments too. 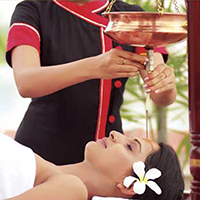 You could also find ayurvedic massage centers in Kerala that offer good relaxing and rejuvenating massages. All these treatments and therapies work in unison to take care of nagging aches and pains, illnesses, help combat weight gain and obesity and thus aid weight loss, address lifestyle sicknesses and thus achieve a good mind-body balance. And to seek out a place that has a little of everything and more and a place that is just waiting to be discovered for Kerala Ayurveda, it is Ayuryogashram! Enveloped in verdant green, surrounded by meandering paddy fields and hills in the horizon completes the picture-perfect setting of our resort, Ayuryogashram, a renowned Kerala Ayurveda wellness center where we offer the best ayurvedic treatment in Kerala. 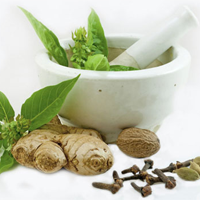 What is it that draws you to Ayurveda? Have you heard about its many health benefits? 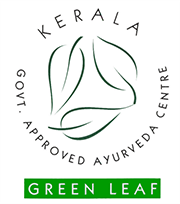 Do you want to undergo the best ayurveda treatment in Kerala? 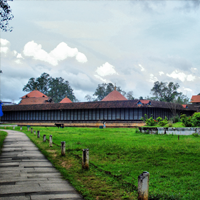 And have you heard that Kerala is the abode of Ayurveda and the place has been one of the earliest exponents of practicing Ayurvedic therapies and treatments? 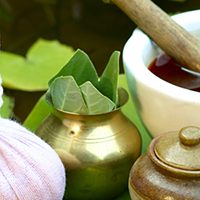 Ayurveda in Kerala is a major draw and it has its own innate charm and beckons guests to undergo an ayurvedic therapy and treatment package. Therefore, to feel completely rejuvenated and revitalized in the best ayurvedic centre in Kerala this in our understanding would of course be, Ayuryogashram. We assure you, from the moment you arrive here, you have reached your own personal sanctuary, and the days spent with us in the lap of nature, our hospitable services and personalized attention, you will leave here with a bouquet of memories, and consciously look forward to the next time you can be amidst these pristine surroundings to unwind and relax! And with every passing year, we are sure you would block a date to renew the Ayuryogashram experience! Our Ayurveda symbolized therapies, programs and packages ensure that you will have a Relaxing, Revitalizing and Rejuvenating holiday that just spells Memorable! 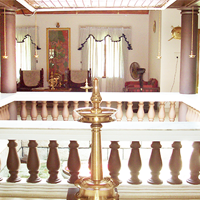 Experience the Kerala Ayurveda, Ayurvedic healing at its best!! Have we caught your attention? Are you intrigued? Want to know more? Step in and seek us out!! !